Culbin has been described by antiquarians and archaeologists as ‘one of the richest archaeological fields in Scotland (Callander 1916).’ Over 29 500 finds from Culbin are held at the National Museum of Scotland and many more in local museums such as Nairn, Elgin,Forres and Inverness. 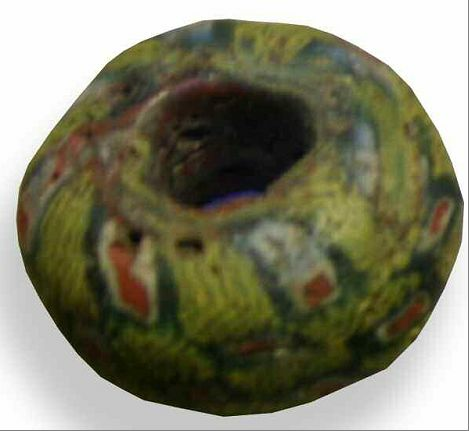 Some of the more prolific finds from Culbin are the variety of beads, made of a range of materials including jet, amber, resin, metal, glass and faience (a glass like substance). The Iron Age beads found at Culbin are a group of finds that can tell us much about local society. Upwards of 250 beads of dull yellowish colour were found near the base of one of the sand hills in 1871. These beads may have been used as ornamentation or jewellery, perhaps part of a bracelet or necklace and would have been considered valuable. It is interesting to speculate who would have been able to access and wear these beads in Iron Age society. Was it every day wear or only for particular people on special occasions? Were different types of beads appropriate for different occasions? 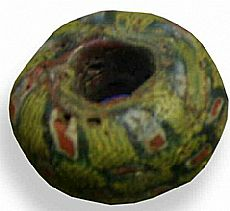 An analysis of the beads showed that they were composed of glass, coloured with oxide of iron. Different colours were achieved by adding different quantities of oxides during the manufacturing process. Beads of precisely the same form and size, were found as far afield as Arrieolland Crannog, Ayrshire and Fetlar, Shetland suggesting trade and exchange over a wide area and a fairly organised society to achieve this. In the Culbin assemblage there are also two hundred yellowish glass beads forming half a necklace donated by Major Chadwick Moy House in 1873 to the National Museum of Scotland. One of the most interesting and complex materials used for bead manufacture was faience. Faience was the product of an early type of glass making, produced by grinding quart or sand and mixing it with elements like sodium, potassium, calcium and copper oxide. Once exposed to heat the faience became glazed on the outer surface, producing an attractive and unique effect for each bead. During the 2nd millennium BC faience beads in the shape of stars were made in several sandy locations in Scotland including Culbin and Glenluce Sands. Only twelve star beads have been found in Scotland to date, several of which have been found at Culbin. Lumps of brownish slag with patches of green material from the manufacturing process suggest that some of the faience beads were made locally at Culbin. This location might have been chosen by later prehistoric societies for this process due to the abundance of good quality sand. 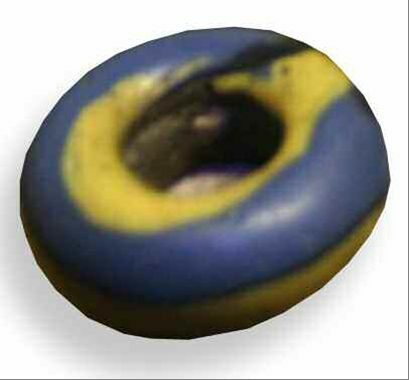 Other faience star beads have been found in Hungary and the middle Danube in Germany. This might suggest that trade was taking place between Europe and Scotland, perhaps by sea routes. At the very least it proves that ideas and skills were being passed back and forth between groups of people across Britain and further afield. The manufacture on site and wide distribution of a variety of bead types suggests that Culbin Sands was an important site in later prehistory, with people around the world trading, perhaps even seeking out, high quality, prestigious products manufactured at Culbin. To find out more information on other beads and finds from Culbin Sands visit Nairn Museum. Opening on the 4th April for it’s 2011 season the temporary exhibit ‘Culbin Sands: Prehistory to Present’ presents the archaeological evidence for activity at this site over the past eight thousand years. The exhibit has been put together by local community and museum volunteer participants in the recent ARCH Display the Past course held at Nairn Museum. Thanks go to Elgin Museum for permission to use photographs of their finds.